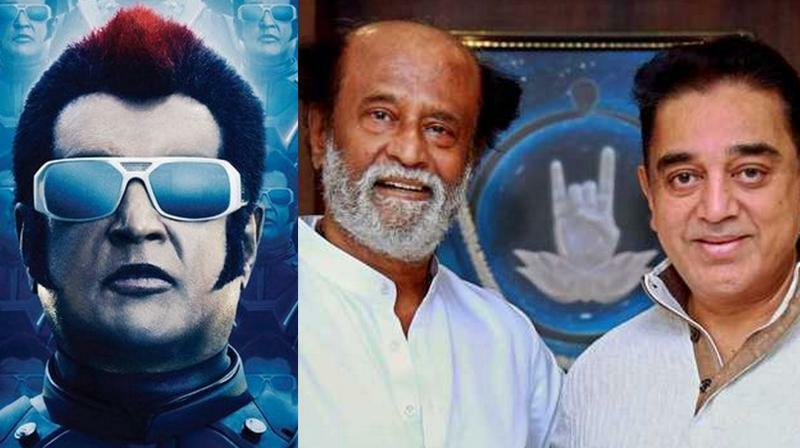 Kamal Haasan has given his best wishes to Rajinikanth. After nearly three years in the making, 2.0 is now all set to hit the screens on November 29, 2018. Mumbai: The much-awaited trailer of Rajinikanth and Akshay Kumar’s Sci-Fi thriller '2.0' was unveiled at the grand event in Chennai, Tamil Nadu, the home territory of Rajinikanth and director Shankar. The team received wishes from stars of the Tamil, Telegu and Kannada industry including none other than Kamal Haasan himself. The 'Vishwaroopam' star recorded a special video wishing success to everyone who worked in the film. “I only wish the best to Rajinikanth, Akshay Kumar and Lyca Productions. The film will be one more milestone in Rajinikanth’s film career. I also want to tell Shankar that this hard work will pay off. The amount of technology used in the film will definitely be appreciated”, he said in the video. Akshay Kumar plays the antagonist in the movie and Rajinikanth will be seen saving the world from his wrath as Chitti, the robot 2.0. This is the first time that Akshay Kumar and Rajinikanth will be seen sharing the screen space together. After nearly three years in the making, 2.0 is now all set to hit the screens on November 29, 2018. “Mark my words, this film will be a super- duper hit,” said a confident Rajinikanth at the trailer launch event.